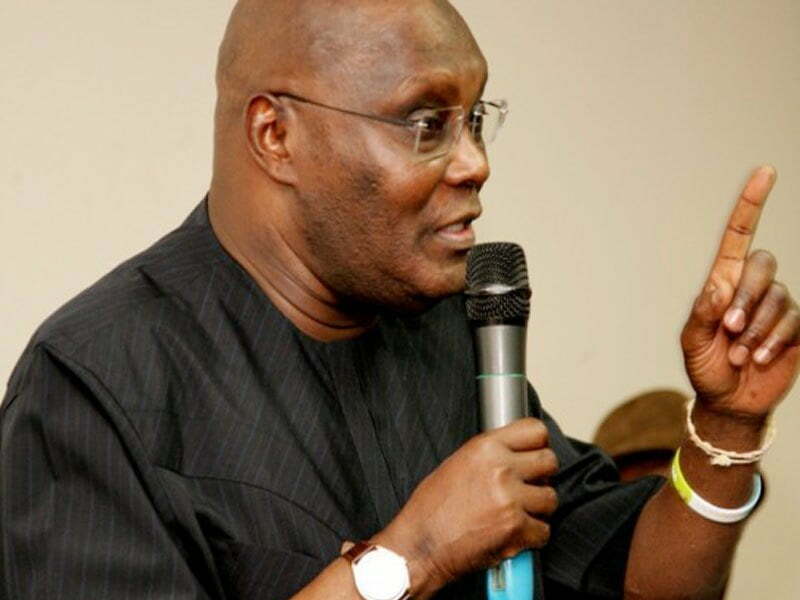 Former Vice-President, Atiku Abubakar on Tuesday stated that he can face “anybody” in Nigeria. He also lamented the state of the economy, saying the All Progressives Congress (APC) government was running the country badly. The Waziri Adamawa said this after a meeting with Bayelsa State Governor, Seriake Dickson. He was accompanied by a former governor of Ogun State, Otunba Gbenga Daniel, former Minister of Nigeria Delta Affairs, Godspower Orubebe among others. After a close-door meeting with Dickson, Atiku visited the PDP secretariat where he addressed a crowd of party supporters. He said: “The last time I came here was several years ago. The changes l have seen in the state are monumental. “This is all because of you not because of one individual. You have been supporting this party since 1999 and what you are seeing today is as a result of your support and hard work. “Once you don’t change parties, you will see what is called good governance. Once you change from one party to another, this one will come, he will do this project and stop and another one will come and start another project and stop. “We have to work together to see the changes in Nigeria like you have been experiencing in Bayelsa. We must return PDP to power at the federal level. I am ready. I was in the vanguard of fighting the military to return this country to democracy. “Some of us lost their lives but we succeeded. When we came back to democracy, we stood up to anti-democratic forces and you know l can stand up to anybody and any force in this country. “This country requires a change. Before 2015, you know how the economy was and today you know how the economy is. We have the largest unemployment in the history of this country since the APC came to office. “Because APC were never there before they don’t know how to create jobs, they don’t understand the economy, they don’t know how to govern and they never understood the complexities of this country. “I have been following with keen interest your (Dickson’s) position on restructuring. If you know, I have been advocate of restructuring since 2004. Governor Dickson, I would like to invite you as you join me as we work together towards 2019 so that we can do it together. “The governor and I are on the same page as far as the issue of restructuring is concerned. We have been consistent about it. For us to get the unity, progress and development we are looking for, we cannot escape from restructuring”, Atiku added.